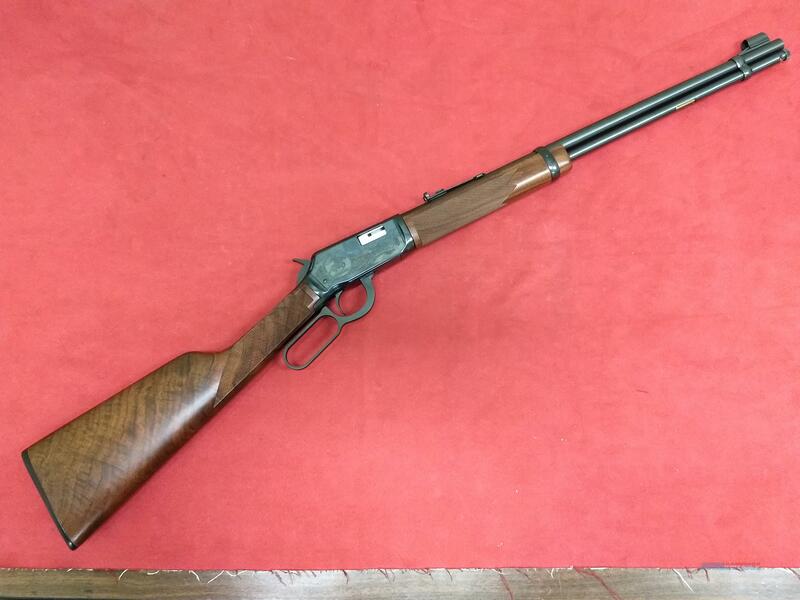 Winchester 9422, "One of 2500" 25th Anvsry Edition, Unfired! Description: We have a real gem here! This is an UNFIRED! 25th Anniversary Winchester model 9422, "One of 2500" Collectible Edition rifle. It has a 20" barrel chambered in .22 LR with a clean and shiny bore. As can be seen from the attached pictures, this rifle has significant embellishment and upgraded wood with some excellent figure! This gun cycles smoothly and the lockwork still has a "factory new" feel. Whether you are a Winchester collector or just a shooter that appreciates a fine and fun little plinker, this rifle is an excellent choice! Comes with the factory box and papers, both of which are in great shape as well!